Gorgeous!!! LOVING the stitching and the buttons!!!! Lisa, this is beautiful. The details really make this card. Sew pretty! Love all the stitching you add to your cards. Have a great weekend! what an adorable card! 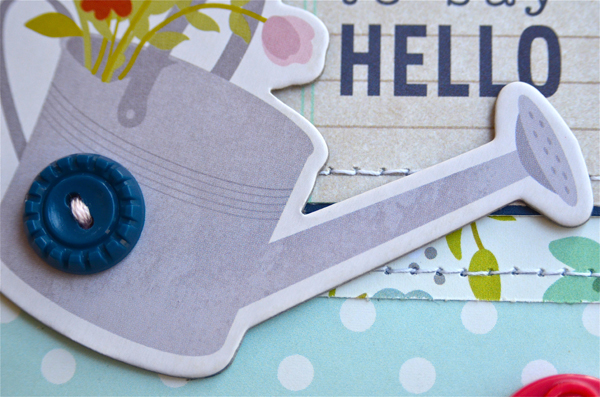 love that watering can! such a sweet and simple card, I love that you added the stitching. 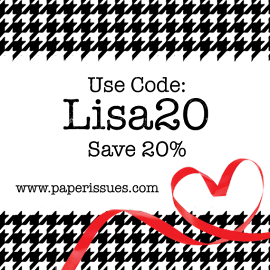 So sweet and the ebellishments are just right and not at all cluttered. I love the clours and of course as an avid gardner I love the wateringcan too ;.) ! So sweet, love the stitching and the buttons! Adorable card! Love the watering can! Super cute! The buttons are fun additions. What a great card. 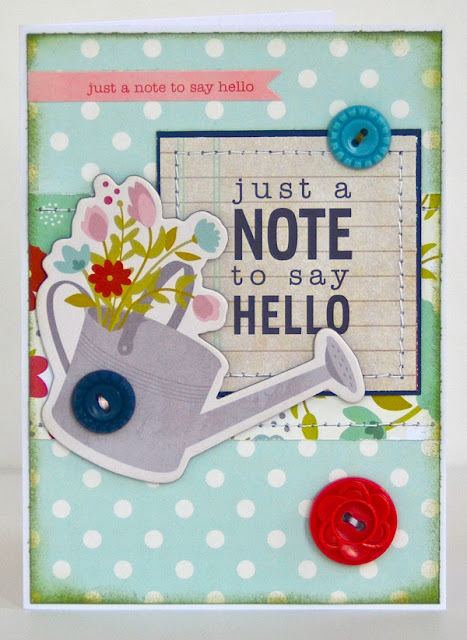 Love the watering can with flowers! Love this cute card, Lisa! Such a sweet card and those buttons are the perfect embellies! Such a pretty card...love all the goodies! It's perfect. Love how you used the buttons. They give a great sense of movement.